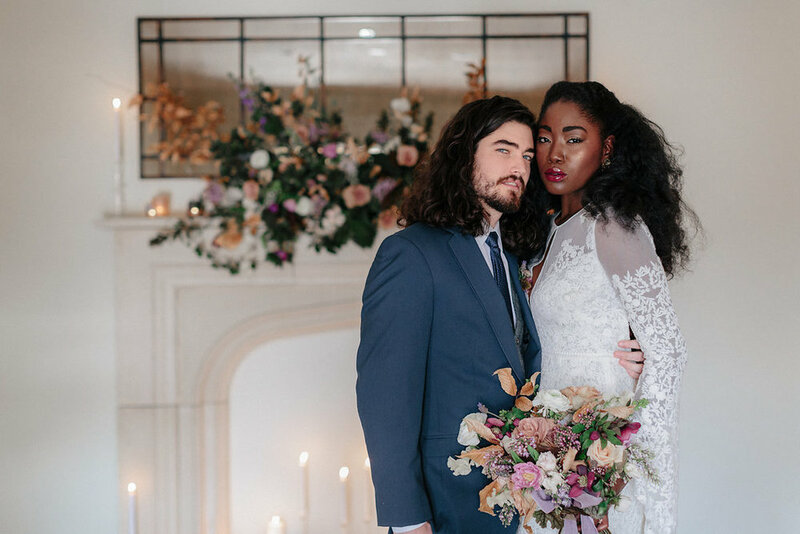 Wedding Inspiration // Vintage and Lace in Atlanta — Catalyst Wedding Co.
Our team wanted to not only inspire but awaken souls and minds with this interracial wedding styled shoot at Summerour Studios in Atlanta. 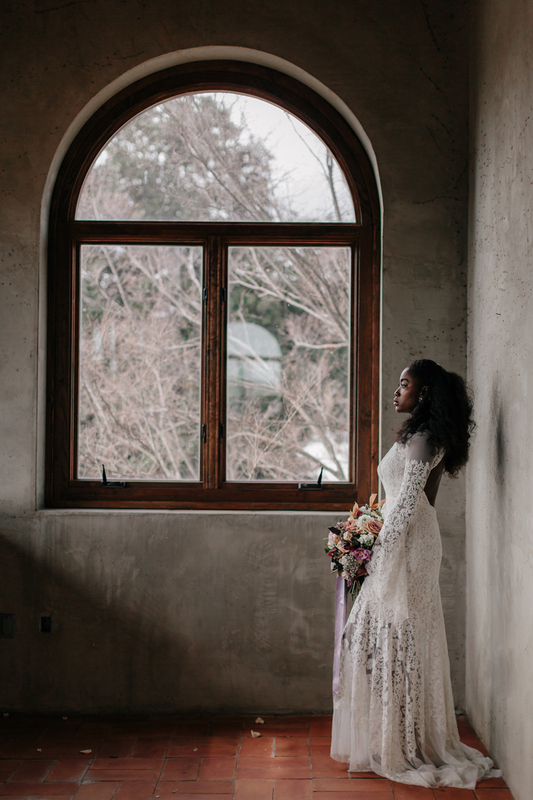 We let the venue speak to us with its old world style and stunning natural light. 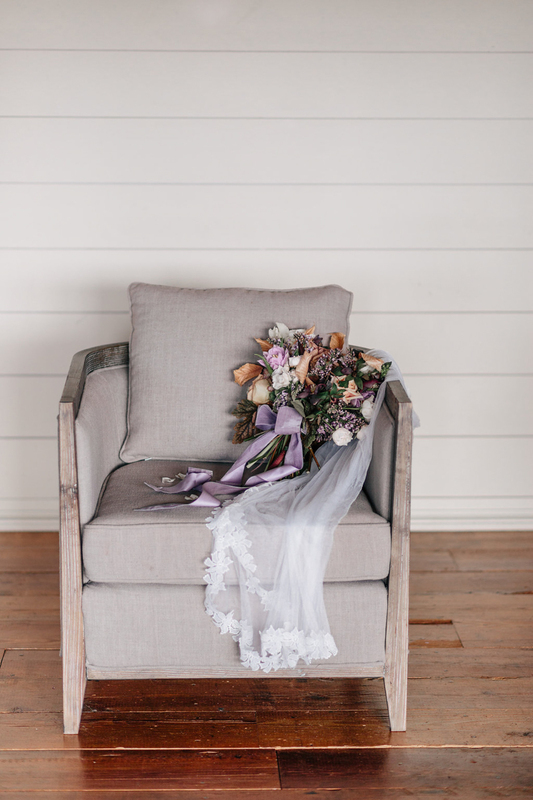 We incorporated a pop of purple in our palette and paired this with an abundance of soft candlelight. 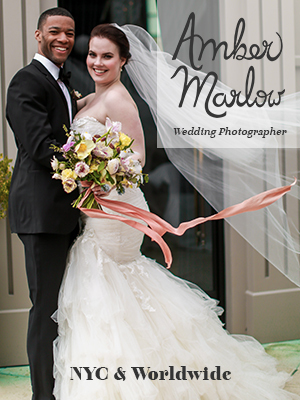 Our photographer focused her energy on letting the chemistry between our couple speak for itself. 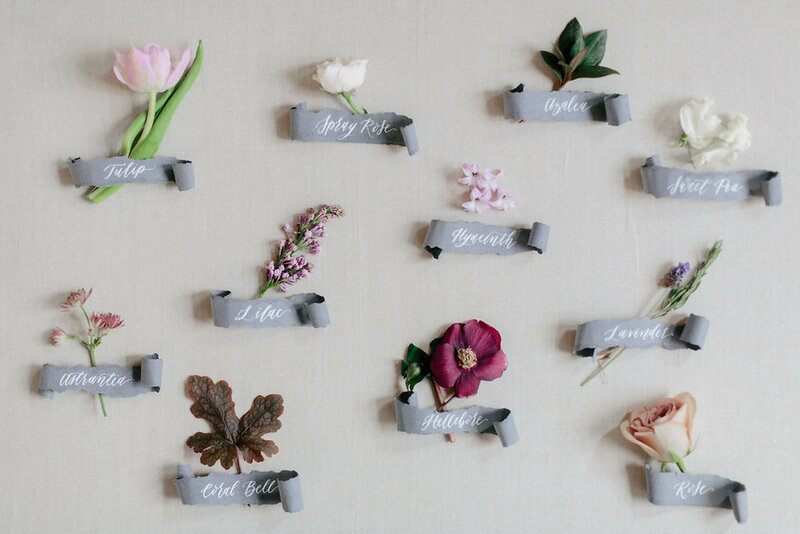 Our floral mantle installation, featuring roses, hellebores, and azaleas, was meant to serve as inspiration for intimate ceremonies. 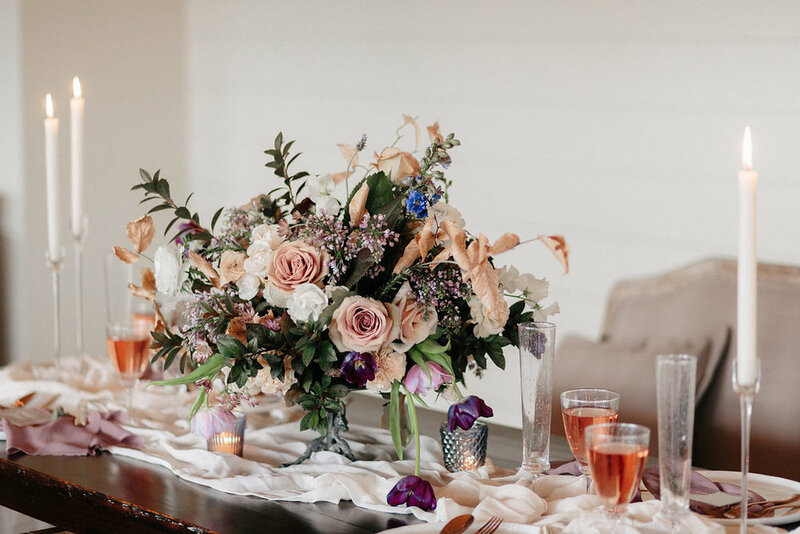 Our tablescape included sheer fabrics, rose gold flatware, and reflective glass details. 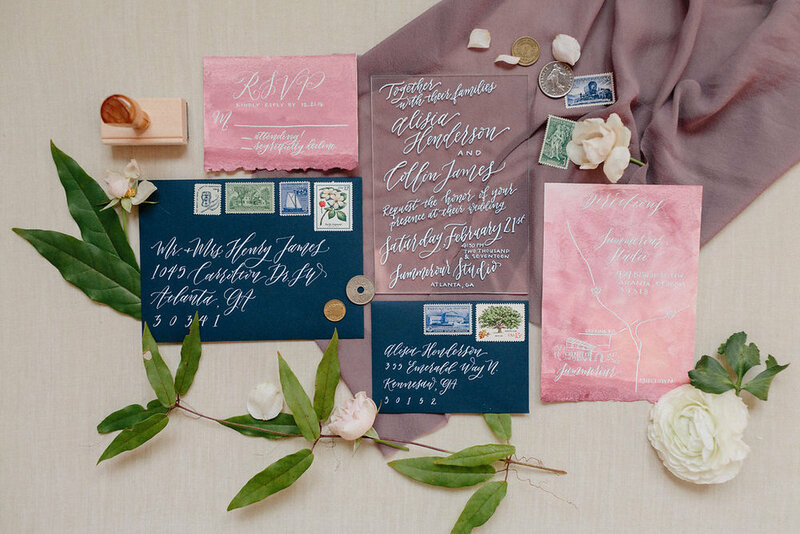 The calligraphy used throughout the shoot included a lot of different textures, like handcrafted paper, plexiglass, and watercolor, showing couples that unique elements like these do pair together perfectly. 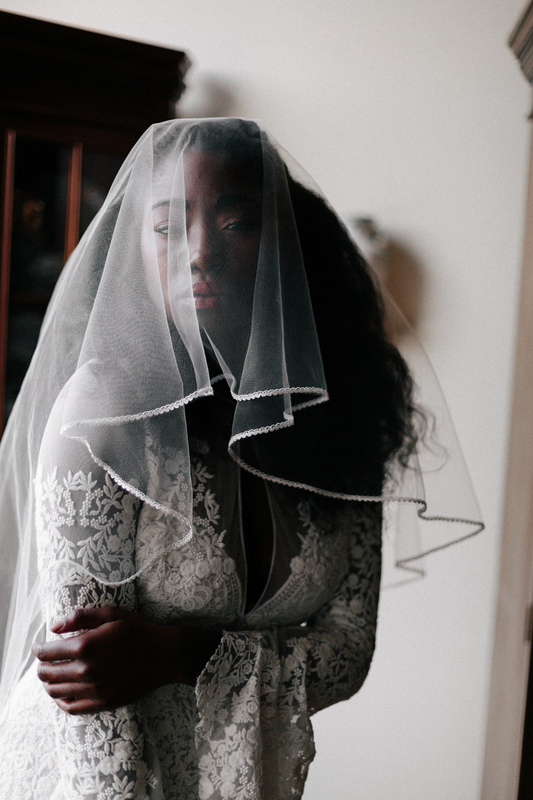 "I am always inspired by ornate and unique vintage pieces and wanted to showcase true vintage fashion in a modern day setting. 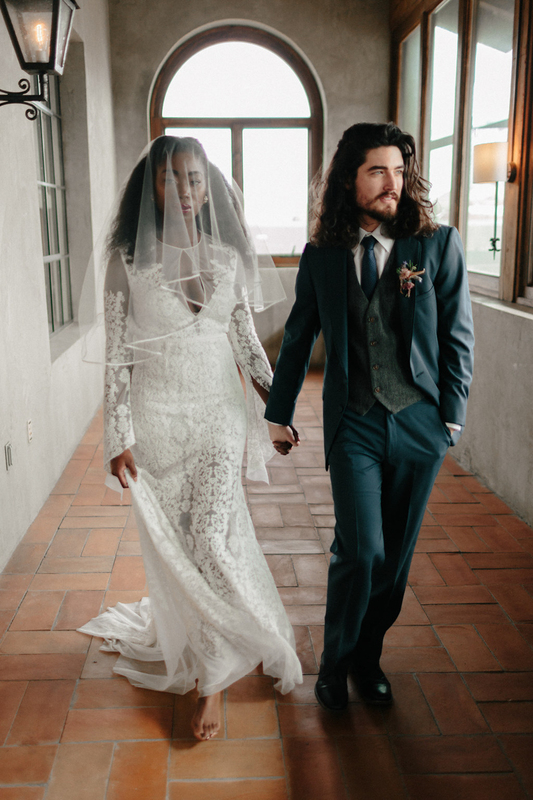 The gorgeous lace gown from Kelly's Closet was the perfect choice to complement subtle vintage jewels. Alasia captured the theme with her keen sense of owning the style chosen for her. She is a true chameleon in that way, adapting to the fashion and allowing the viewer to embody the emotion of an actual wedding day. " 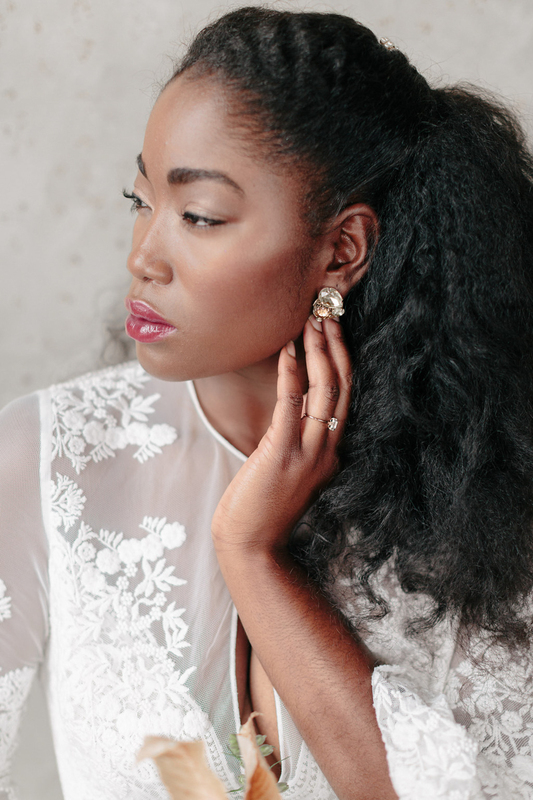 "My focus on this shoot was keeping Alasia's skin and hair as natural as possible. I feel like now in the world of makeup, everyone is so focused on "highlighting" this and "contouring" that . . . but her skin is absolute perfection. I simply wanted to allow her to be as beautiful as she is. 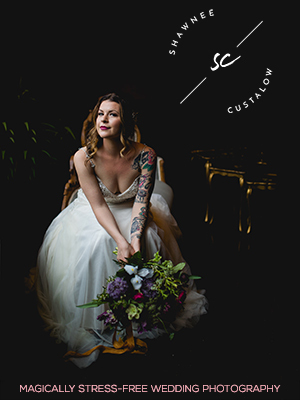 With our venue being Summerour and the gown being lace, I felt the photos would be full of gorgeous texture, and I wanted her hair to be a part of that, so I touched up a few curls, added moisture, and let them be." 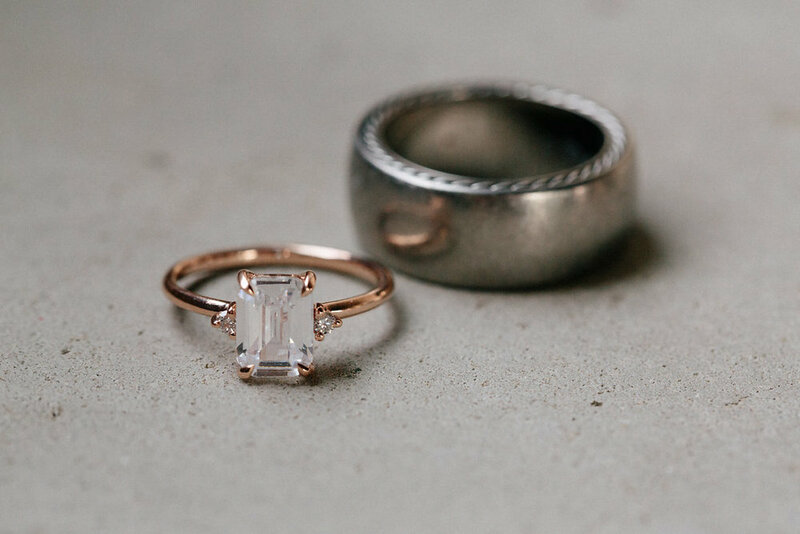 Detailed I Do's is one of the leading luxury Atlanta wedding planning teams specializing in styling, planning & design. We are a resource for couples that desire a charming and exquisitely memorable event. We create unforgettable moments by infusing each celebration with superior service, careful attention to detail & creativity. 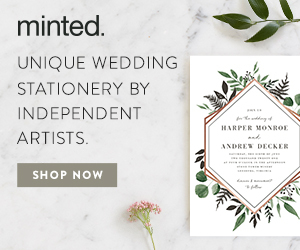 The Detailed I Do's team specializes if full service planning and help creative couples by providing a seamless experience from the moment we meet to the arrival of your wedding day.